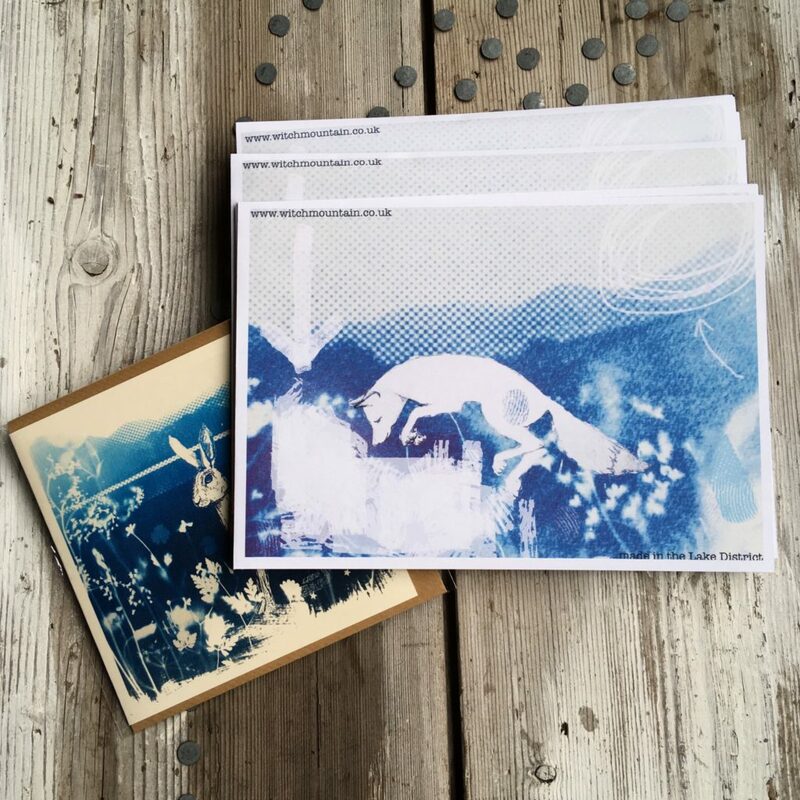 One of the things we’re proudest of at Ink Drops is working whenever we can with UK artists and makers, so you can discover new favourites while indulging your stationery addiction! ID: Tell us a little bit about you & your work? KT: Since completing my Textiles and Surface Design degree at Cleveland College of Art and Design, way back in 2008, I’ve been looking at different ways to combine print, drawing and embroidery in my work without access to fancy equipment and studio space. 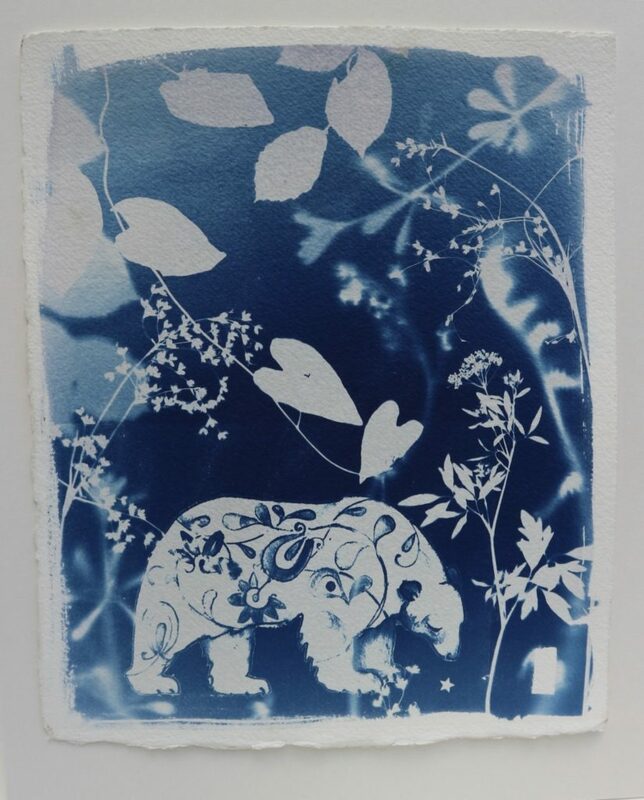 For the past few years this has involved making cyanotype prints on both fabric and paper, creating original framed pieces, handprinted lighting , greetings cards and other gift items. ID: What inspires you most? KT: Obviously I’m very inspired by my surroundings here in the Lake District and I spend a lot of time wandering about looking and thinking whist drinking coffee and waiting for an idea to jump out at me. When I moved here I wished I was a landscape painter but it’s actually the act of telling a story that interests me. Old folk tales and magic play a part and I like to think my work is a combination of close observation and imagined characters from a story I’ve yet to write. KT: I go through phases of being incredibly organised with “to do” lists pinned up on my cupboard doors and then others of stuffing receipts into overflowing boxes and not filling in my diary. I’ve used several “creative business planners” and found parts of them quite helpful but I started one this year and didn’t manage to complete all of the tasks which made me feel cross with myself, which was counter productive , so I decided to leave it until next year. I find that it’s easier to be organised the more work I have on, and writing lists (by hand) is really the best way of sorting out which tasks need prioritising to avoid panic stations. ID: People are usually fascinated by the daily life of creative people – do you have a morning or daily routine you’d like to share? ID: What was the last thing you received in the post? KT: Actually today I got two lovely things in the post, one was a beautiful card from an Australian artist called Emma Rose Saffron and the other was a pink sketchbook and pack of pencils from the LRB Bookshop in London (they sent them to me after hearing that I’d been robbed recently and lost my favourite stationery and sketchbook). Something special in the post can really make someone’s day better. ID: And the last thing you sent in the post? ID: Do you have a favourite piece of your own art? ID: And finally, what’s your favourite book? KT: I occasionally work in a fabulous bookshop in Grasmere and I find it impossible to resist temptation. At the moment I’m reading “Everything Under” by Daisy Johnson. I chose it because it had a beautiful cover (I do believe you can sometimes judge a book by its cover !) by Suzanne Dean, and I got drawn in before I’d even finished unpacking the deliveries. Favourite authors include Tove Jansson, Kirsty Logan, Haruki Murakami… oh I could go on and on! 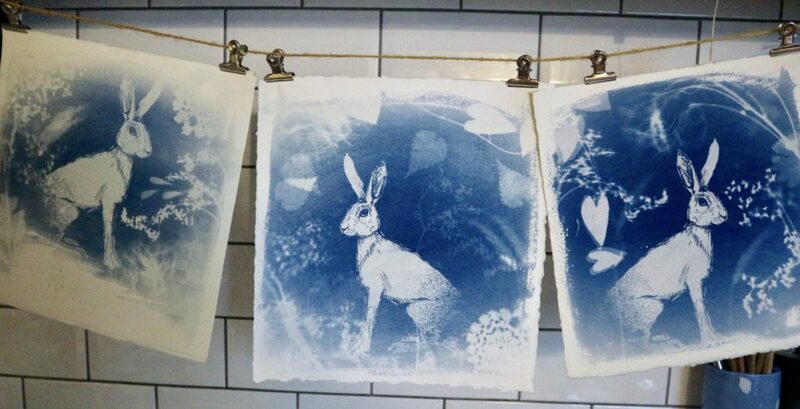 We think we’ve found something of a kindred spirit, and you can find Kim’s stunning work at witchmountain.co.uk. Her art also features in one of our new selections, due for release in the summer! Free BuJo habit tracker & planner pages! Hop on our (infrequent, but lovely) Daybook mailing list, and we'll send you a free bullet journal habit tracker printable & a weekly planner printable, and send you occasional emails filled with life, love & stationery. And our special offers, which are for Daybook subscribers only! 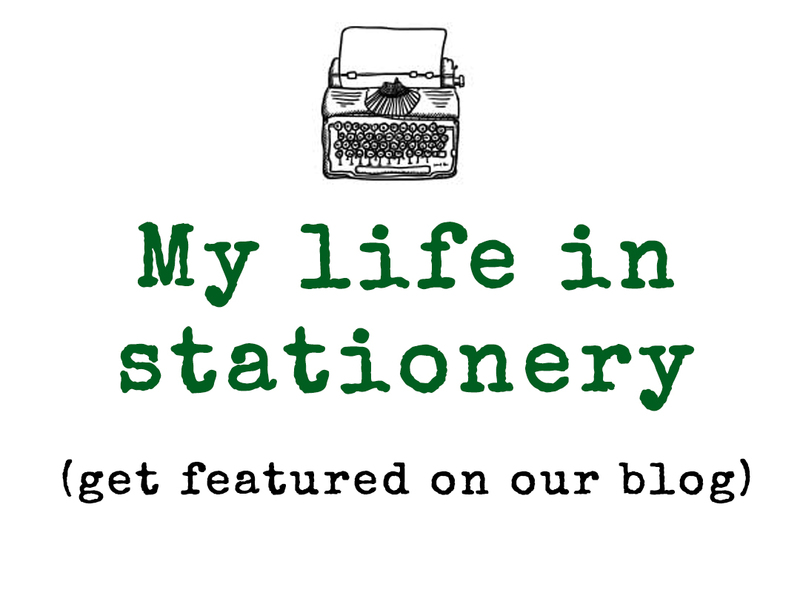 Get featured on our blog! Click the image or here to fill in our survey and feature on our blog.